1. Rikki was days away from expecting their first child! 2. 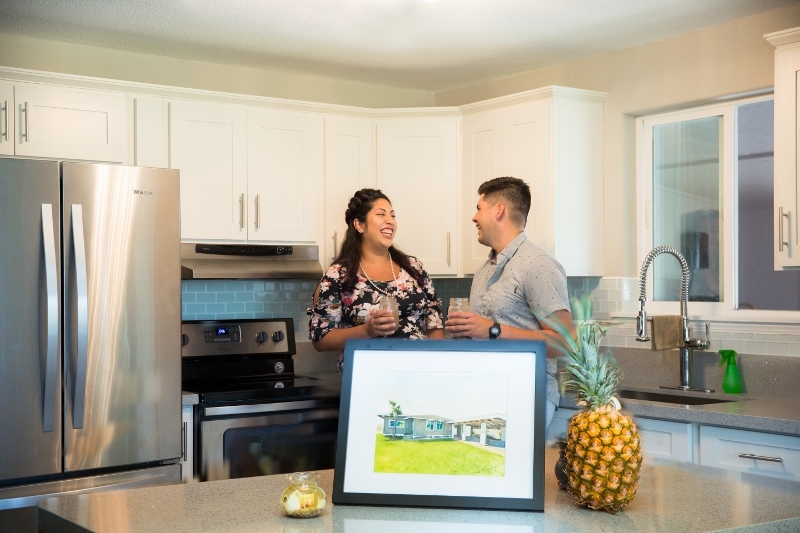 They are first-time homeowners! 3. 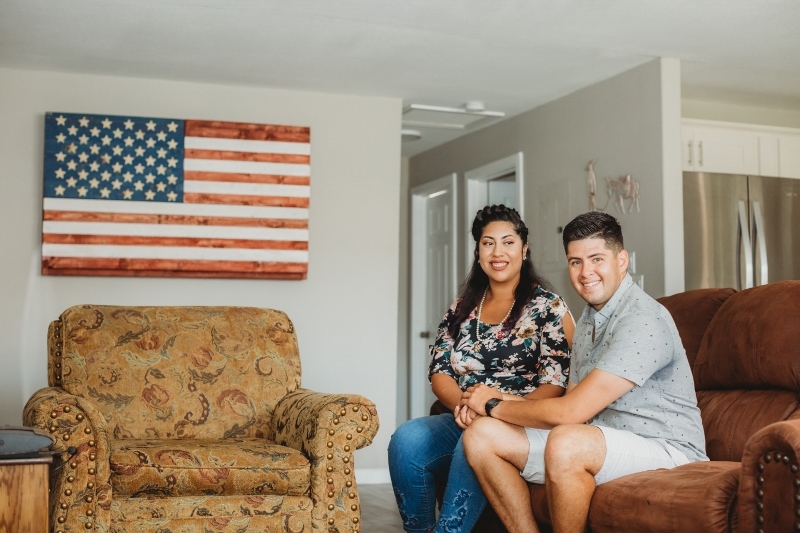 This was Hawaii VA Loans’ first family photo shoot highlighting a veteran or service member who purchased a home on the west side of Oahu in Makaha! 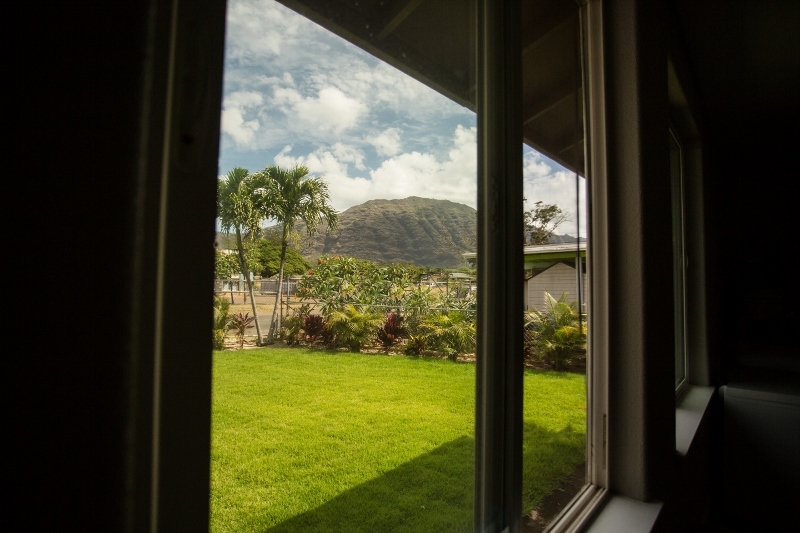 Jesus met us at the door with a bright smile and invited us into their 4 bed/2 bath single family Makaha home. While Rikki finished getting ready for photos, we asked him to tell us more about himself. Let’s get to know a bit more about Jesus! His specialty in the Army is Cavalry Reconnaissance. He decided to join the military four years ago after previously working as a corrections officer. He was stationed in Colorado Springs before PCSing to Hawaii. 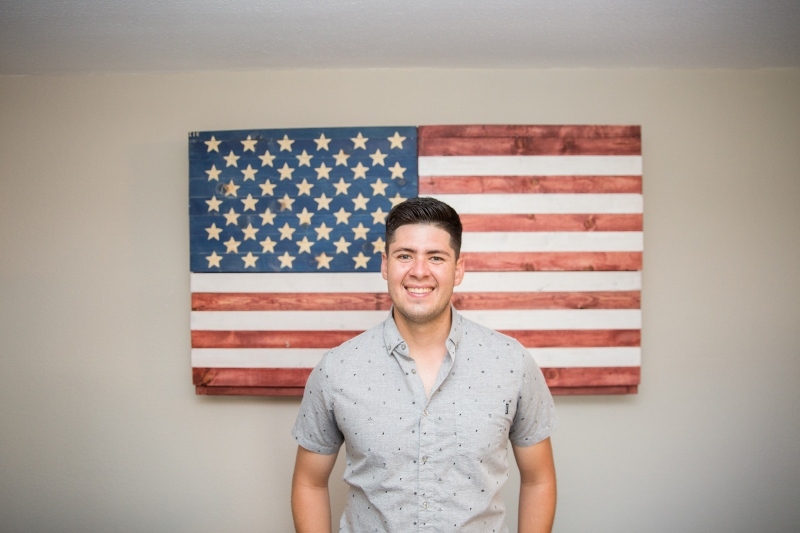 Originally from Arizona, Jesus is a proud first generation American – his parents immigrated from Mexico! Together, their smiles light up their spacious and airy home, even more. 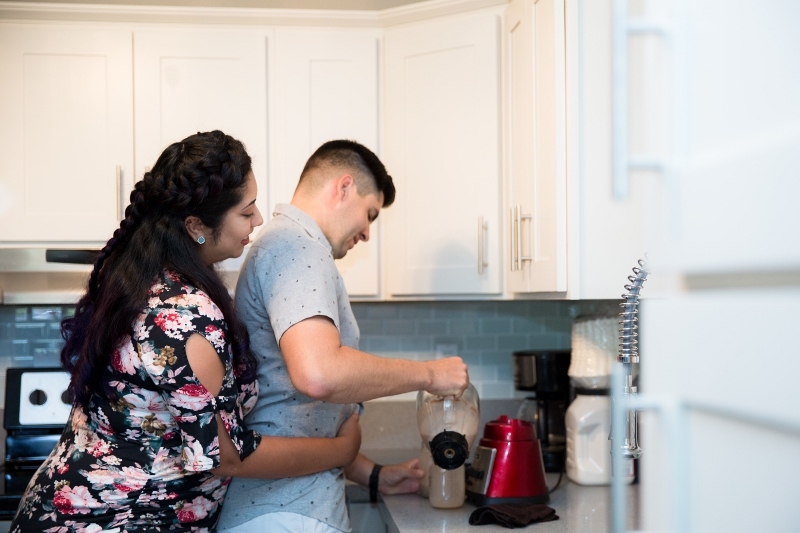 So, why did Jesus decide to become a first-time homeowner in Hawaii using his VA loan benefits? Initially, they had considered renting, but Jesus felt thrown off by high HOA fees. Next, they have a large dog that needs ample space (their nearly 6,000 square foot lot solves that issue!). Then, he figured that his BAH would be better spent on an investment. Now that’s good thinking! 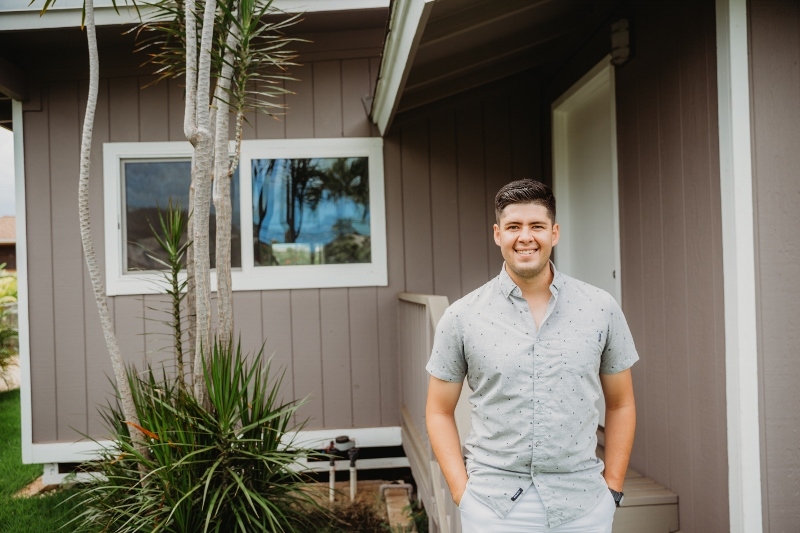 When they spoke with VA Loan Specialist Brad Vilgos about buying a home, Jesus said he “immediately knew Brad was the one.” Brad, a veteran and Hawaii homeowner himself, connects with service members on a personal level that helps build the essential trust and understanding needed between a VA lender and a buyer. Calculating all those factors and insights, Jesus and Rikki started house hunting. 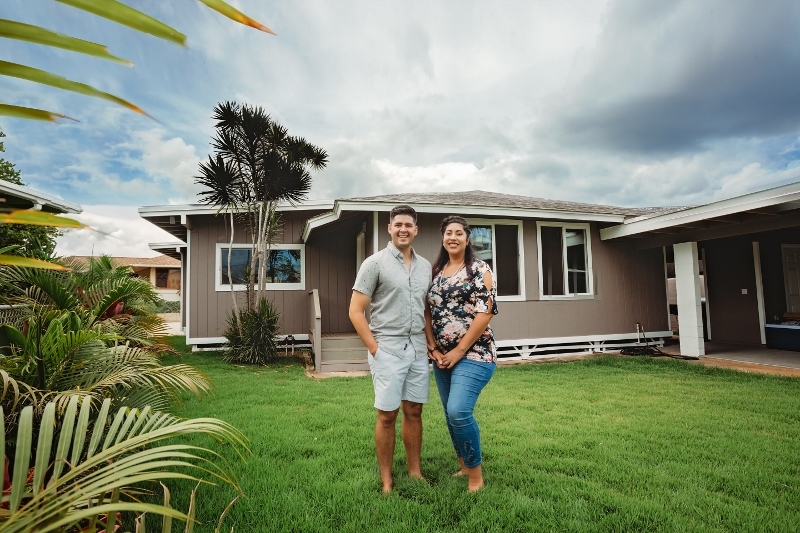 As they began the VA loan process, they knew they wanted to buy something modern and homey, and they found it in Makaha. The updated appliances, the big kitchen sink, and the counter top that “sparkles” appealed to Rikki right away. “What girl doesn’t like glittery things?” she asked. and the views from the windows. 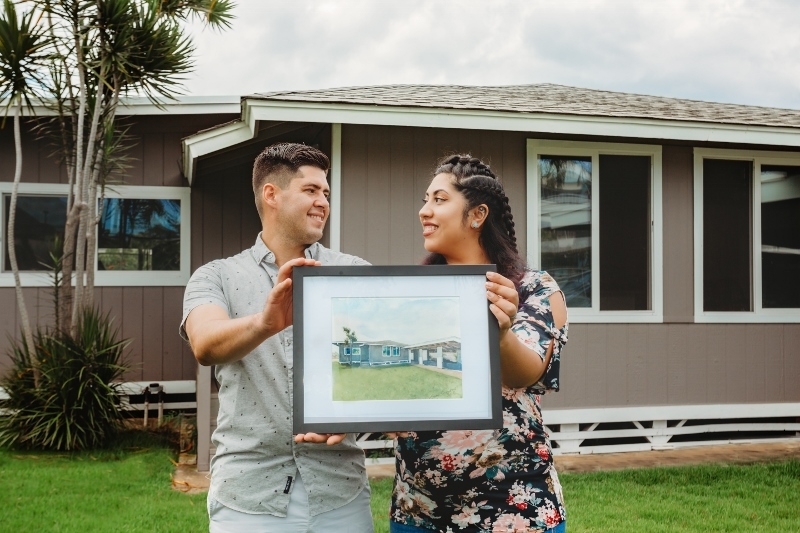 The pure joy that Jesus and Rikki demonstrate for their home’s location – being able to walk five minutes to the beach and being enamored by the way their house looks when they pull up to it with the sun setting – is the level of satisfaction we work toward for all of our VA loan home buyers. Before it was time for us to go, we congratulated them on becoming new parents and on their smart home purchase. 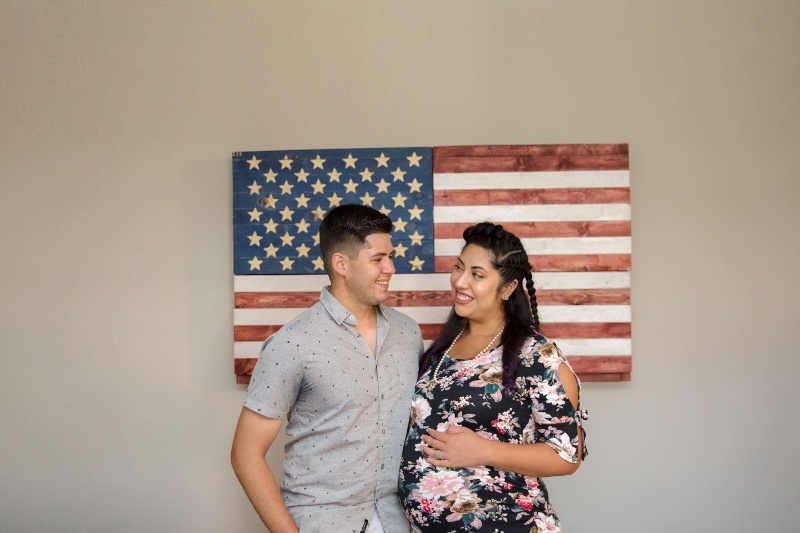 Jesus and Rikki – we hope you don’t mind if we try to get another visit on the books, but this time with your baby boy! In fact, Jesus expressed his desire to possibly stay in Hawaii for more than one military assignment. We support that decision! Mahalo to a great couple for allowing us to share your home and experience working with Hawaii VA Loans. You make us proud to have been your choice for a VA loan lender in Hawaii!